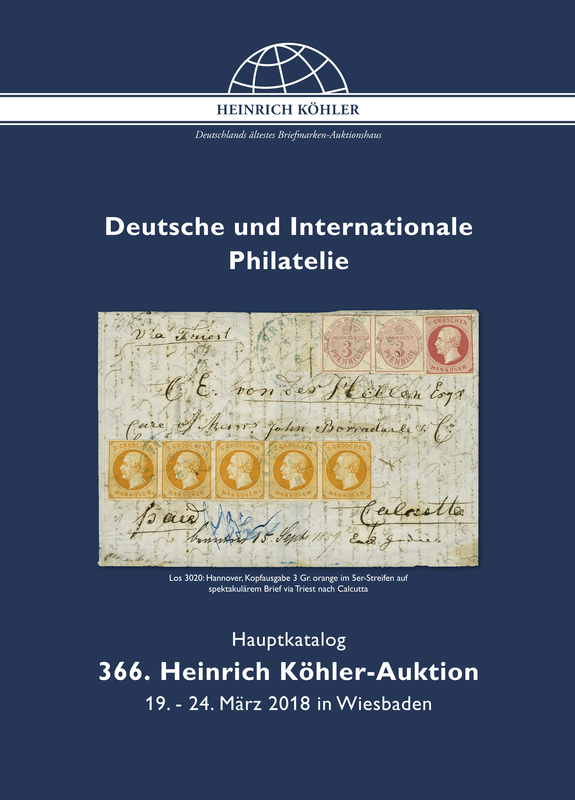 A wide selection of attractive philately and postal history. The highlights include two major collections, "Germany 1870–1954" and "The Saar Area and Saarland 1920–1959", each documented in a special catalogue. 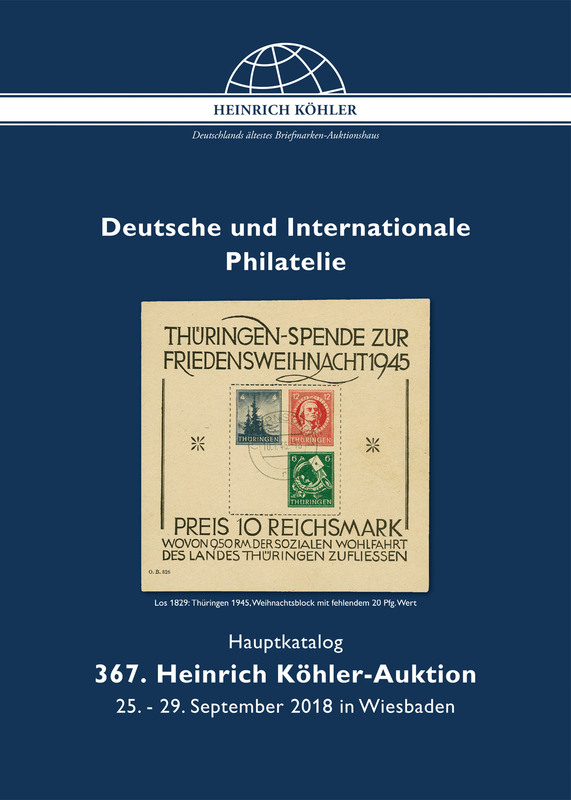 The first part of the sale is a special "Germany post-1945" collection, featuring a number of coveted rarities and promising high excitement. 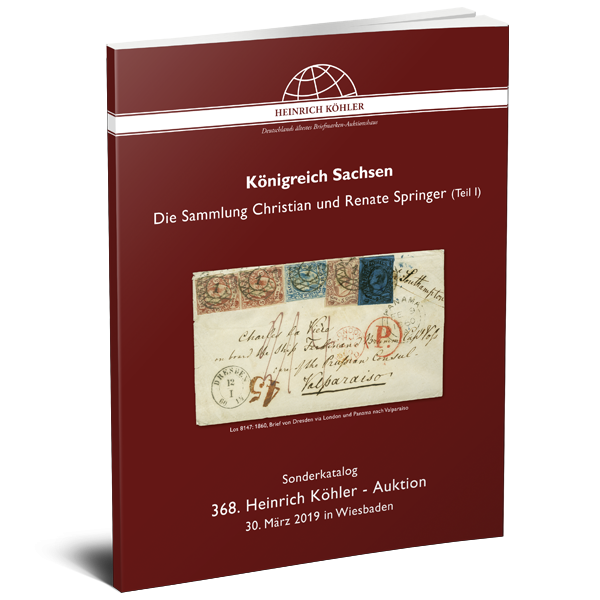 A colourful bouquet of philatelic treasures is to be found in the Heinrich Köhler Spring Auction. 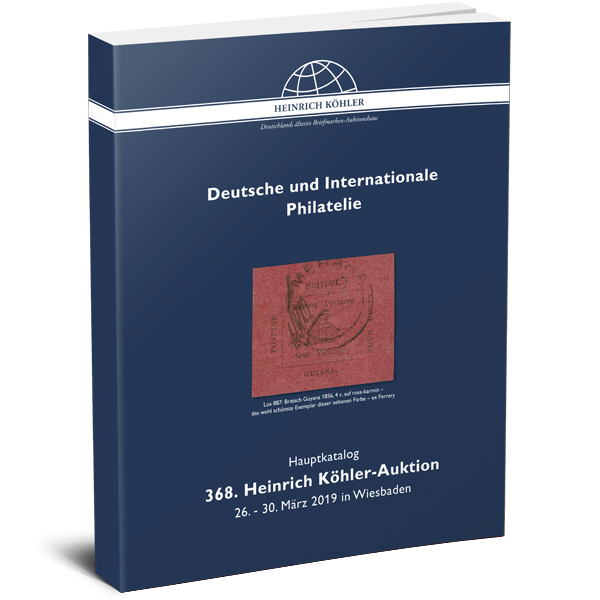 Once again an outstanding range of exquisite philatelic and postal history material from Germany to Europe and worldwide awaits collectors in this year's spring auction. Five impressive special catalogues and a main catalogue with many attractive special items once again offer a unique selection of valuable stamps, rare covers and high-quality collections - many top-class items included! 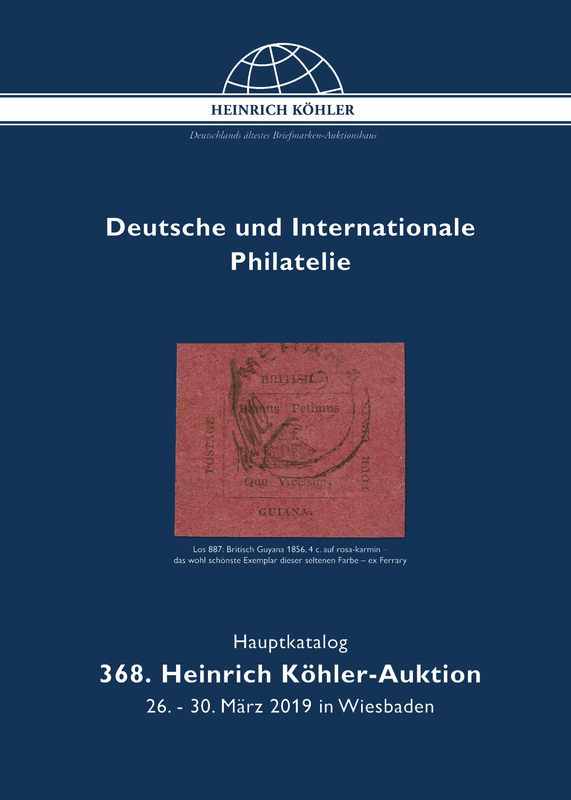 A fascinating and refreshing selection of international philatelic material is waiting for you! The auction archive is temporarily not available.